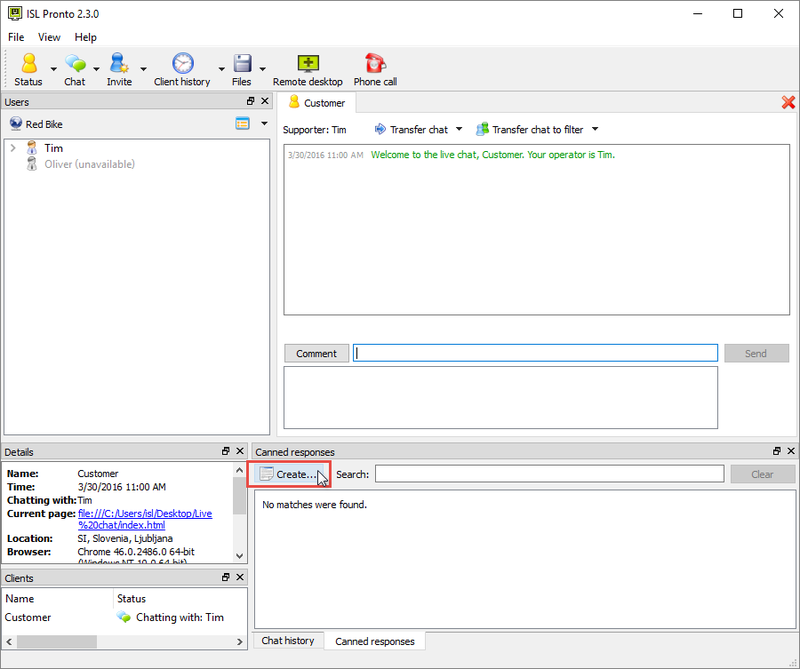 Save your replies by category and keywords as you chat. Quickly search for the saved text and speed up your answers. Click "Create" button from "Canned responses" tab to create new canned response. 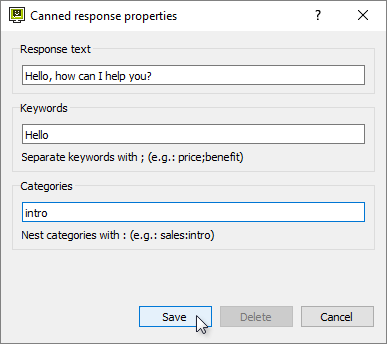 Enter response text, keywords and categories and than click "Save" button. 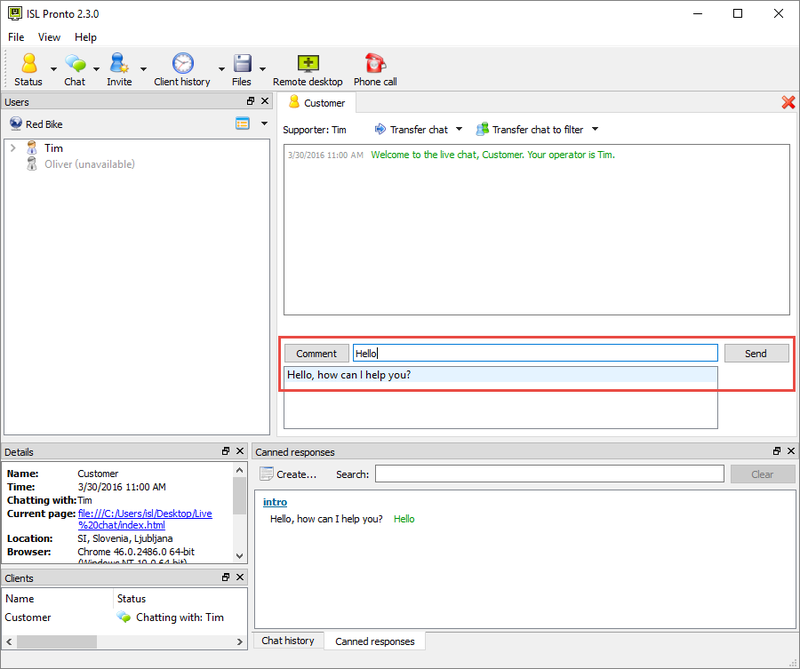 You may use create response by typing keywords in to chat. Canned response will be shown and available for use by selecting them.